During Sale-A-Bration, when you join Stampin' Up!®, you can get over $340 worth of products for only $125! 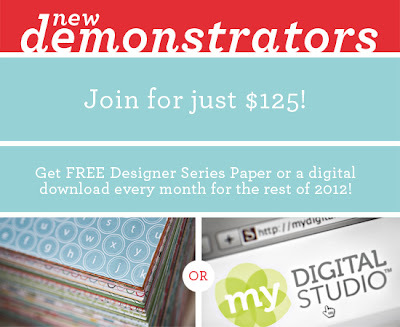 Not only that, but you get free paper or digital downloads for the rest of the year. But you only have until March 31st to take advantage of this opportunity. If you have any questions about what it means to be a Demonstrator, please don't hesitate to contact me.